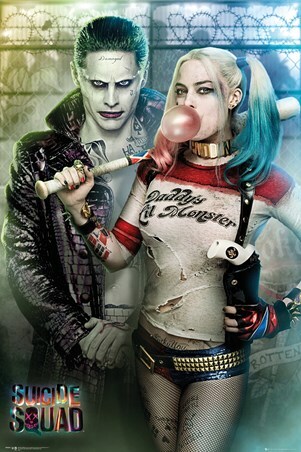 If you're looking to bring a little chaos to your life, then you can be sure to count on these two to help you along the way! 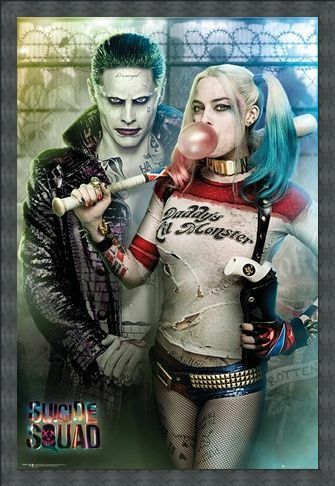 From the 2016 film, Suicide Squad, this mischievous poster pictures psychotic criminals, The Joker and his girlfriend, Harley Quinn. 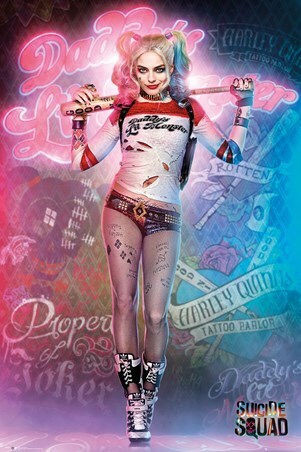 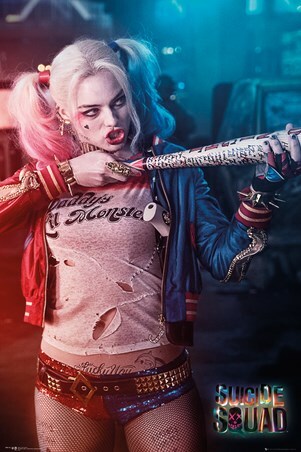 Standing before a background of barbed wire, Harley can be seen dressed in her iconic 'Daddy's Lil Monster' outfit, as she brandishes a baseball bat over her shoulder. With The Joker's tattooed torso on display and a sinister expression on his face, you'll know to expect trouble from this toxic pair, from the moment the poster is hung on your wall. High quality, framed Joker And Harley Quinn, Suicide Squad poster with a bespoke frame by our custom framing service.